Until their unification in the 17th century, England and Scotland had a long history of war against each other. 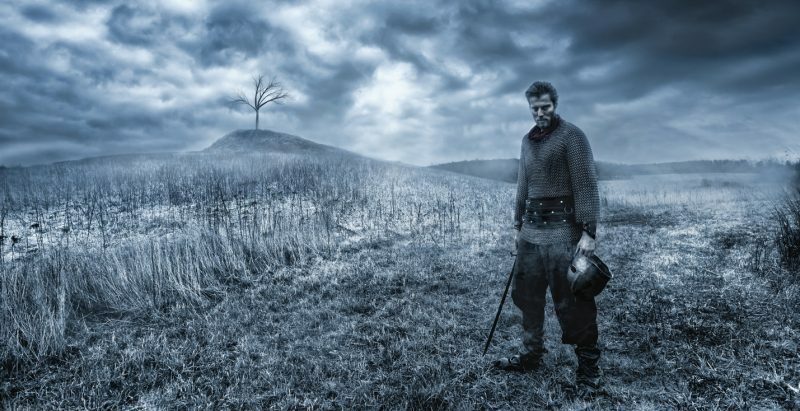 The greatest battle of these conflicts took place in 1513, just south of the village of Branxton in Northumberland. This was the Battle of Flodden. In the early 16th century, the Scottish and English royal families were bound together by blood. 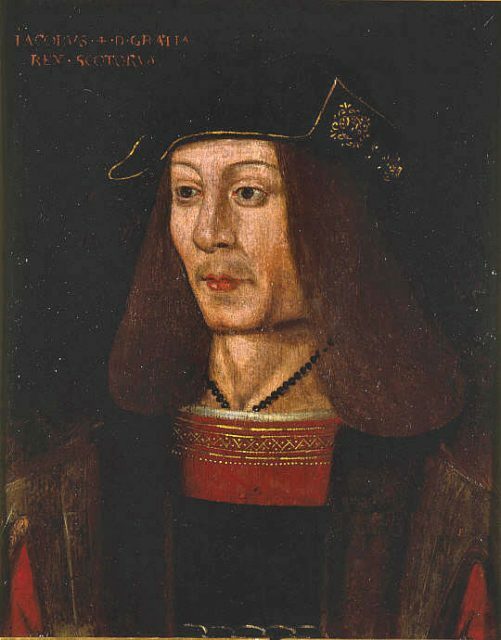 King James IV of Scotland was married to Margaret Tudor, the sister of King Henry VIII of England who had inherited the English throne in 1509. But politics put them in opposition. Border raids and semi-official naval conflict saw blood spilled between the two nations. 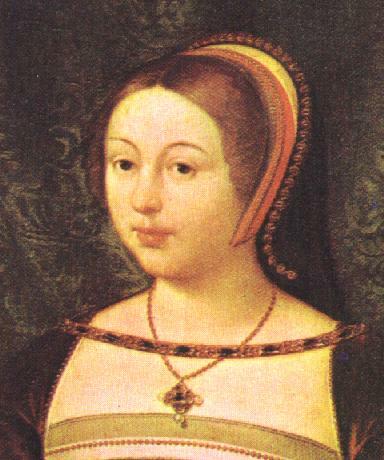 Margaret Tudor, daughter of Henry VII of England, sister of Henry VIII, wife of James IV of Scotland and mother of James V.
Left:James IV of Scotland. 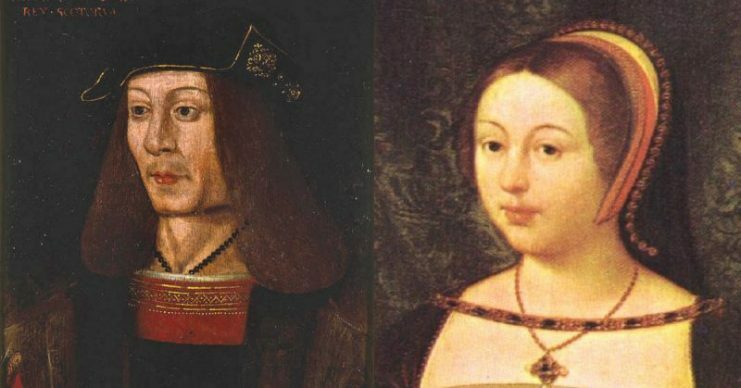 Right:Margaret Tudor, daughter of Henry VII of England, sister of Henry VIII, wife of James IV of Scotland and mother of James V.
In 1511, Henry VIII joined England to the Holy League, an alliance between Spain, Venice, and the Papal States fighting against France. 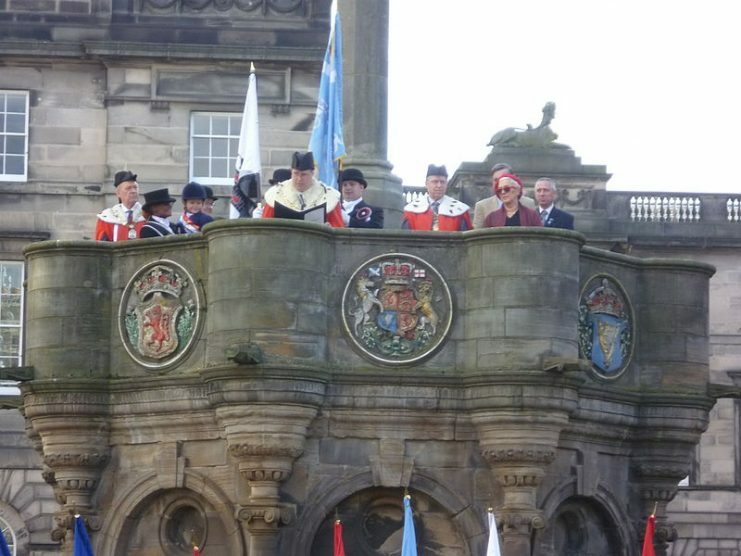 Scotland had a long-standing friendship with the French, known as the Auld Alliance, and in 1512 James IV renewed this pact. England and Scotland were now on opposite sides of a war. 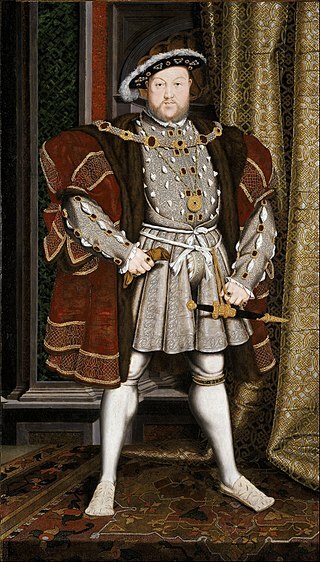 By the summer of 1513, James had promised that, if England invaded France, he would invade England, and in doing so try to draw Henry’s forces away from his allies. In June, Henry crossed the Channel, and so James began preparations to fulfill his pledge. In August, James assembled an army near Edinburgh. Drawn from all over Scotland, it also featured a French contingent under the Count d’Aussi, sent to teach the Scots modern military techniques. James set out with an army that probably amounted to around 40,000 men, a quarter of whom would desert with their loot before they even faced the English. 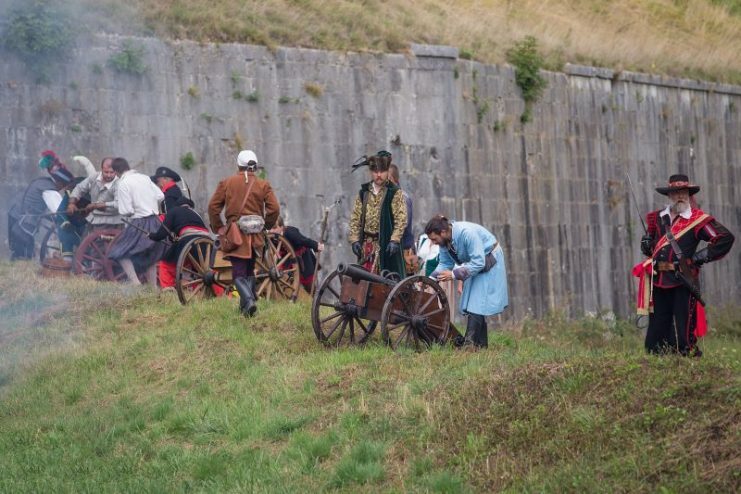 They took with them 17 artillery pieces, superior to those the English would bring. The army marched south, seizing the castles of Norham, Etal, and Ford. Etal was not properly fortified, and James made sure to damage the other two, to make them less useful to his enemies in the future. Meanwhile, the Earl of Surrey, left in charge of England’s defense by Henry, mustered his own army. 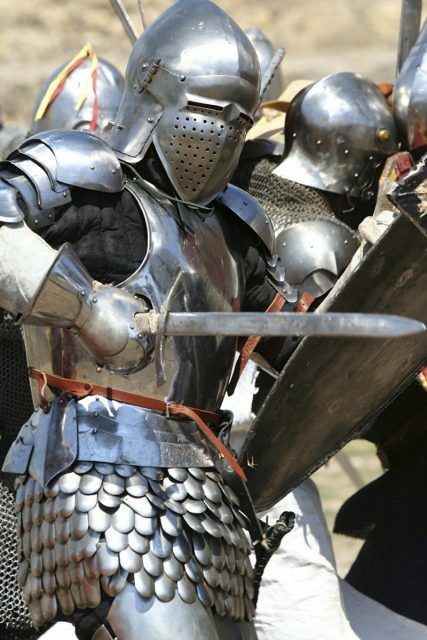 With the main force of English soldiery in France, he drew men from across the north of England, many of whom had long experience fighting Scottish raiders. 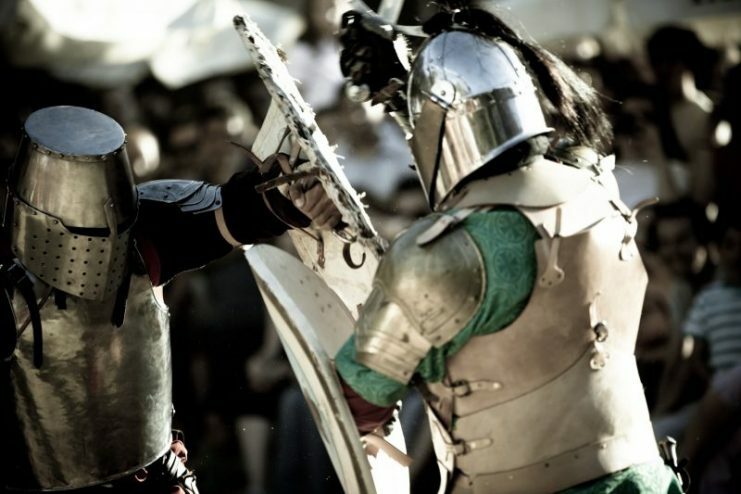 The army totaled around 26,000 men, mostly armed with bows or bills. There was some irregular cavalry, but little heavy cavalry or artillery. 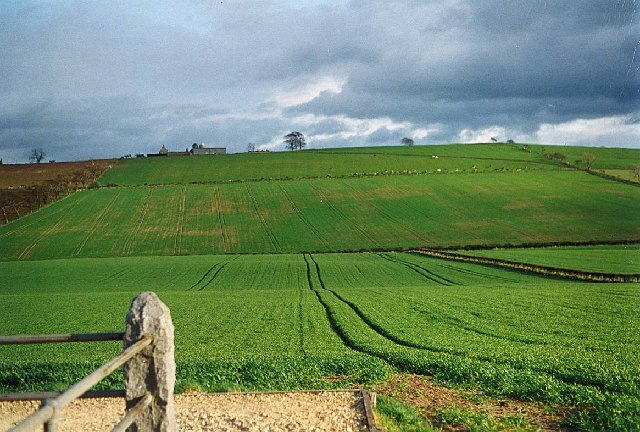 In early September, the Scots took up position on Flodden Hill, between the villages of Flodden and Branxton in Northumberland. Surrey was in communication with James, trying to convince him to leave this strong position to fight elsewhere. But James recognized the value of what he had. If Surrey wanted to move him, he would have to force the Scottish king’s hand. On the 9th of September, Surrey divided his army into two columns, each with two parts. All crossed the River Till to be on the same side as the Scots. It is likely that this division was done to make the crossing easier, though it made them vulnerable to being picked off piece by piece. Having crossed the river and got around the Scottish flanks, the English lined up around Branxton. 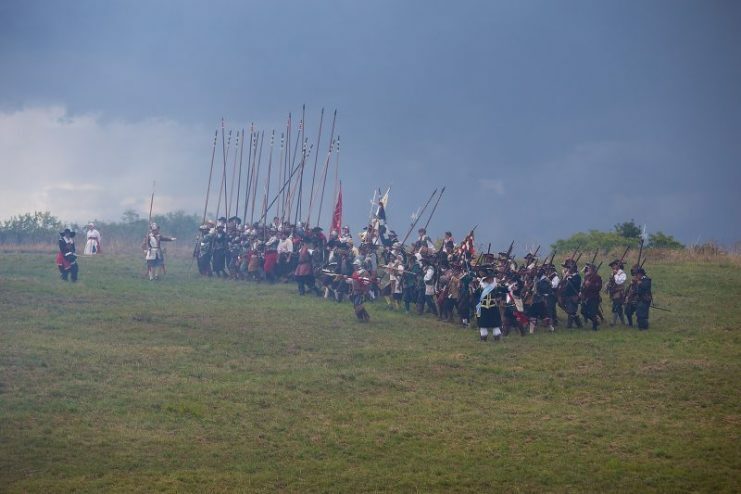 Seeing the English maneuvers, James realized that his opponents might take the high ground on Branxton Hill. Though not as advantageous as Flodden Hill, this would still give the English good defensive ground. Rather than let that happen, James marched his men down off Flodden Hill onto Branxton Hill. The Scots advanced onto the hill in five columns, four at the front and one held in reserve. The battle began with an artillery bombardment by both sides. This did little damage but unnerved soldiers on the Scottish left flank. Rather than stand and be shot at, they charged down the hill and into the English right. Despite its impetuous nature, this charge initially went well for the Scots. They almost broke the right-hand English formation, which was saved from total disaster by the small reserve of cavalry. The Scottish left then set to looting, taking no further part in the battle. The Scottish center advanced, possibly because James wanted to capitalize on success on the left or because he could no longer hold his men back. It was a difficult march across wet ground, down one slope and up another, all while carrying 18-foot pikes. Despite being bombarded by English artillery and archers, the Scots kept up the pace and soon hit the English center. On the English left, Sir Edward Stanley’s column had arrived late to the battle. Seeing how the Scottish right flank held back, Stanley decided to tackle them before they could intervene in the center. Half his force kept the Scots busy at the front while the other half attacked them in the flank. The Scottish right crumbled, most of them fleeing. In the center, the Scots were struggling with their weapons. The pikes were a relatively new acquisition, one of the weapons the French had come to teach them about. Without proper training, the weapons were unwieldy. The English billmen cut through them, causing havoc among the Scottish infantry. It was this fighting in the center that decided the day. There, the Scots fell in terrible numbers during two or more hours of fierce fighting. Most of their leaders were killed, including King James himself. By the time Stanley came charging into their rear, the battle was already lost. The English dead at Flodden were counted in their hundreds, the Scots in their thousands. Few men of importance on the English side died, while the Scots lost two dozen earls and barons, three bishops, and most critically their king. Any chance of drawing the English out of France had been lost. William Seymour (1997), Battles in Britain, 1066-1746, Volume I.